This book has something for every book lover. It has history. It has some drama. It has passion, and last but certainly not least it is about finding your one and only. Dante's Gift caught my attention from the beginning and is absolutely a must read! 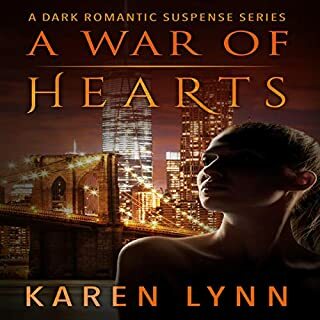 What is there not to love about this audio…it is such a wonderful delightful love story that really reaches in grabbing your heart and twisting it. At first I didn’t care too much for Kathleen she almost seemed a snob. Here is a little old lady that just lost her sister, her only family is her grandson who is going to bring her to live with him…how sweet is that. The woman he wants to marry doesn’t cook and works long hours. This little old lady won’t live but a few more years, she is going to cook and all for you. I understand it means less time for just them but the house is not small I am sure they could make this work with a little work. On Kathleen side the granny is old she doesn’t know how much help she will have to give the old lady, can she get around, what is her temperament like and lord all the hugging and kissing etc . I understood where she was coming from but still I didn’t care for her that is until…..
Kathleen’s family isn’t much of a loving family oh they love her no doubt but have always been too busy to give a lot of one on one attention. They aren’t the huggy kisss type. She is the kind of person that lets her action speak for her…who needs words. She really is torn between the quit of not wanting the old lady to come and how she should feel. Once granny steps foot in the USA things take a big turn. Mr. Jordan has fast become one of my favorite narrators he brings so much to the story from his many different character voices. He really puts thought into each character and their emotions bring them to life giving them meaning, showing us how they feel with powerful voices that leave you in no doubt how each one is feeling and what they are going through. You can hear the hurt in each character as they learn to deal with each issue at hand. I really enjoyed each of his character voices you always know who is talking he gives each character power and depth and really brings them to life. There are no background noises, no volume changes and no repeating of words, delivering a delightful smooth clear audio that you get lost in. If any breaks were taken I could not tell. Mr. Jordan’s natural voice is just a wonderful as his character voices. It is a voice you have no trouble listening to as he brings excitement and sorrow to each character that the author writes about. He has me in the palm of his hands from the first minute until the last. What happens next put a wonderful twist on the story as one woman relives her younger years of the war and a soldier who held her heart. Kathleen gets to see a side of love she never knew was there. Granny is a wonderful story teller she not only had Kathleen but me as well spellbound through each word. We really wanted her to go on but she kept us on hold until the next time where she took up where she left off. Her dog was something I just love him. He didn’t trust soldiers that is all but one. War is never easy but when you fall in love with a soldier, he goes off to fight you never know if he will come home again. The dog plays a big part in this story bring together two people who love with all their hearts. Just wait until you get to the end, if you haven’t fell in love with Dominic before you will fall head over heels at the end. My heart just melted with both Kathleen and I having tears in our eyes…I do believe Granny had some as well. The plot wonderful, very thought out, entertaining and keeping you hooked. 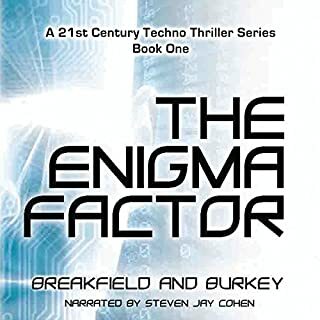 With an audio I only listen to it when I drive or work around the house…I had trouble putting it down, I wanted to keep listening but knew I had some books I had to read as well. There is no way you can read this and not have it be one of your favorite books. I am looking forward to listening to it again in the future. Come take a journey of love, one that will touch your soul and how one little old lady and a dog over came not only the war but doubts giving the best gift of all…a love to last a life time. 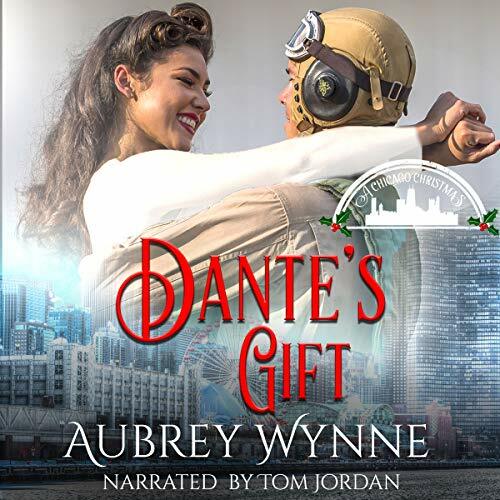 Dante’s Gift by Aubrey Wynne is a beautiful love story. The author succeeded in blending romance with history, and a compelling story involving a precious gift from a dog during World War 2. I thoroughly enjoyed the book, and even heard it twice. The reader of the audio version did an excellent job. I would recommend this book to anyone who enjoys a light romance with a happy ending. I enjoyed this book very much. Dominic wants to propose, but, first he has to let Katie know that he will be asking his grandmother to come live with him. She is hesitant, of course. Who wants to start their marriage sharing a home with a matriarch? 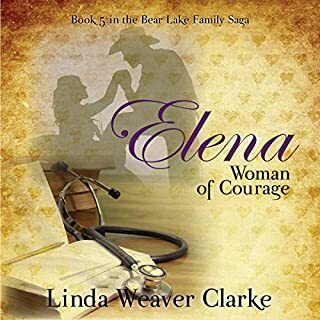 I loved how the author shares Nonna's war time love story right along side of the inner turmoil that Katie is working through due to the proposal. The plot and characters are well developed and I find I have nothing but good to say about this story. Tom Jordan is the narrator and he does a fantastic job of storytelling. I tended to forget that I was listening to a book, but, rather I was hearing someone tell a story. Makes it really easy to want to not want to hit stop. Kathleen is expecting a sweet engagement dinner, but instead Dominic tells her he wants his grandmother to move in and he's heading out to get her. I think this would throw any for a loop. Although it is handled bad on both sides the story is fun and I love the grandmother and her story. Great job on the narration. a sweet short story. didn't change my life, but was a fun, short listen. This is truly a delightful book. The characters are likeable and show real emotion. I would actually give this book 4.5 stars. This author was new to me and I really enjoyed her writing. I will be sure to get more books by her and continue to follow this series. Great story, but I am not sure I liked Kath at the beginning and was wondering at Nico's patience with her, but I guess the heart gets what the heart wants. It turns out good in the end, but the road is hard for Nico and my heart went out to him at times. I especially loved the story told by Nico's Nonna to Kath about how she met her love and their courtship and Dante, her collie, was a big part of it. Loved the feeling it left me, the closeness of the whole family over the generations. Mr. Jordan's voice is becoming a favourite with his warm tones and variations for each character, making it an enjoyable listening experience. A really charming, enjoyable tale. This story is truly beautiful and unique. The story is relatively short but it manages to pack so much information and emotion into that time. 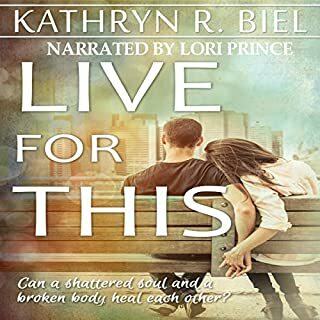 It opens with a refused proposal by Kathleen to Dominic, the man she loves because he tells her that circumstances have made it necessary for his grandmother to live with him. Dominic heads to Italy to persuade his nonna Antonia to live with him. From here develops a moving story of so many different kinds of love that have spanned decades. The writing by author Aubrey Wynne is beautifully done and so relatable in the journey through human emotions and how they impact on our life choices and the journey our lives take. The multiple point of view was so well done by Tom. 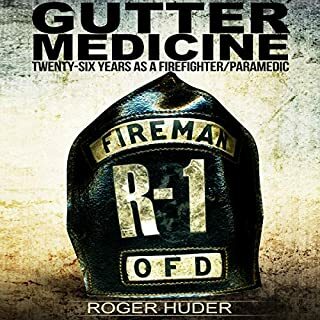 He maintained a calm to the story throughout while still being able to inject all of the thoughts, feelings and emotions into the story. He maintains the same energy level and there are no unnatural pauses. Wynne has a good romance here. But I will say that I was not a fan of the leading lady. Kathleen was very rude and annoying through most of this story. I'm glad she learned to grow up, but honestly she was breaking my heart being all like: I don't wanna be with you and your grandma in the same place. Pretty rude considering the grandma was of sound mind, she just couldn't live on her own as she was old and needed some help. I'd understand if the grandma had alzheimers or dimensia of some sort. I really enjoyed grandma's story about her love life. It was very sweet and heartbreaking. Dominic is also a sweet and loving boy/man. I found it endearing the way he loved his grandma. It was in that caring for family kind of way, not being a momma's boy way. I give the story a 4.5/5 stars. Tom did a good job narrating. He had good voices for the main characters and I think captured the tones for each well. I definitely feel like he added a lot of fun to this story and I'd love to listen to him perform something else! Studio production sounds great as well. I give it a 5/5!